In recent years, the numbers of yoga teachers graduating from 200hr courses has soared in popularity. Watching the industry grow, we decided it was time for Power Living to offer the 500hr Teacher Training pathway, on home soil here in Australia. We have since then established a 500hr pathway for students who want to train with us beyond their initial 200hr teacher training certification. Our 500hr teacher training pathway has graduated over 1,500 teachers to date. We have many graduates in the yoga world teaching their hearts out and holding space for their students to transform their own lives. WHAT CAN I EXPECT FROM THE 500HR PATHWAY? It’s important for teachers to stay inspired if they are going to inspire hundreds of students! With this in mind, our 500hr Teacher Trainings are not only informative – with practical teaching skills that can be applied immediately after training – but also super inspiring! In order to stoke the internal fire we need to keep on purpose: to transform lives. CAN I CHOOSE MY OWN PATH? The best part about our 500hr teacher training program is that you get to choose your own pathway. You get to gravitate toward subjects that inspire you personally, by signing up for the programs that fit you best. The 500hr teacher training pathway focuses on six styles of sequencing and three ways to theme classes. Each style has a purpose, an anatomical intelligence and also a poetic rhetoric throughout the class. It exemplifies how to inspire students to practice yoga both on and off their mat. WAIT, SIX STYLES? TELL ME MORE. I’ve created the six styles of sequencing after 15 years of teaching, running multiple studios and leading retreats all over the world. These are tried and tested methods that are the backbone of Power Living’s studio classes that have inspired thousands of yogis. The theming components are also unique to our training and evolved through years of studying traditional yogic philosophies and contemporary personal development strategies. Combining these traditional and modern teachings allows the delivery of a powerful experience for both the student and the teacher. WHICH PROGRAM SHOULD I START WITH THEN? One of my favourite programs to deliver is the Advanced Vinyasa – Class Sequencing and Theming Skills. So, why is this my favourite? For me, this is the most well-rounded program for a teacher wishing to upskill. We show you how to put together a sequence and class theme in roughly 15 minutes, tools of when to deliver philosophies and how to sequence for effective and safe evolution in students bodies. Power Living offers the Advanced Class Sequencing and Theming Skills program on home soil, and there’s a fast-approaching one coming up 6-10 May in Sydney. The beauty of doing this course on home soil is the 9-5pm-style training. This allows teachers who live in the proximity to undertake the course whilst still teaching some of their regular classes, lightening the financial strain of training. WHY IS THE 500HR PATHWAY RIGHT FOR ME? At graduation, participants walk away skilled in processes that allows them to create multiple ways of teaching – from focusing on a muscle group, a peak pose or the subtle body, the list goes on! This program teaches you how to be powerful with what you say, not just repeat what every yoga teachers says in the classroom. It also arms you with the skills to create fun, exciting, grounding and effective yoga classes that both heal and empower students. You will be encouraged to take a big leap and not just know anatomy, but to be able to apply this knowledge to your students’ bodies and understand how to correct and evolve their practices. This is the backbone of the course and most courses we offer. OK, I’M IN. SIGN ME UP! I look forward to seeing you at one of our trainings, and hopefully at the one coming up in May 2019! As a teacher, I’ll give you everything I’ve got! One of my missions in life is to help the yoga community in Australia evolve with a standard and sincerity that is equal, and often unmatched in the world. Teacher, student – there is no difference and together we create the learning. I can’t wait to do this with you! P.S. Learn more by visiting the 500hr pathway page here. Join us on our next Yoga Teacher Training! 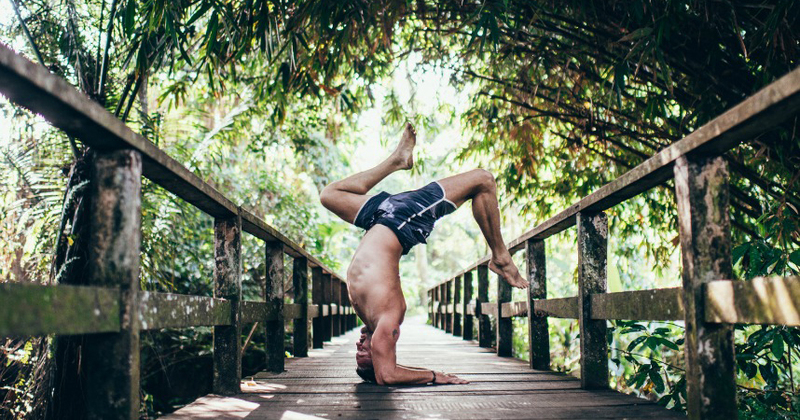 Our Teacher Training isn’t just for aspiring teachers, but for anyone who wants to deepen their personal practice and gain a better understanding of yoga philosophy and its origins.